Our therapies are specifically chosen because they have accredited professional standards, and work well with orthodox medicine. The term “complementary therapy” refers to those therapies that are used in a supportive role alongside allopathic treatments. We ensure that the Client’s condition, medical treatment, and response shape each individual session and contraindications are adhered to, absolutely. Studies have shown that an experienced therapist may reduce the anxiety and stress associated with many conditions, and assist in the rehabilitation of muscular injuries. Massage helps to relax the soft tissues, increase delivery of blood and oxygen to the muscles and warm them, helping the body to relax. In a typical session, the practitioner will discuss symptoms, medical history and the desired result. Before beginning a massage, evaluation can also include posture, gait, range of movement or touch. Oil, powder or wax may be used to reduce friction on the skin. Massage may improve circulation and other bodily systems, and produce an enhanced quality of life. 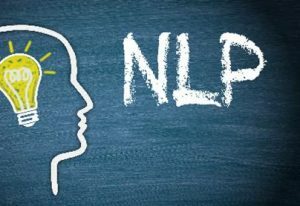 In addition, therapeutic touch, however light and gentle, may have the benefit of helping clients overcome numerous body image issues, increasing relaxation and aiding general wellness. Sports massage uses a range of therapeutic techniques for the prevention, recognition and treatment of minor injuries. It can also be helpful in the mental preparation of athletes for sporting participation. A typical session will involve appraising the injury, using exiting medical diagnosis and test results, posture, gait, biomechanical and soft tissue assessment. It may include mobilisation, neuro-muscular and myofascial techniques, trigger point therapy, and specific stretches. Unlike holistic massage, it is more likely to focus on those areas that are causing pain and discomfort. 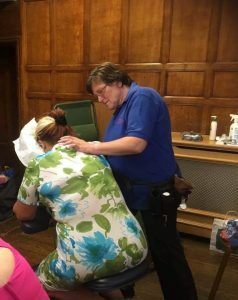 Massage may be applied at a deeper level, using smaller amounts of oil, wax or lotion, with the aim of identifying and treating soft tissue and muscle imbalance which may be causing pain and restricted movement. This is designed to promote an improvement in the function of the lymphatic system. Gentle rhythmical movements over the skin may stimulate the contraction of the lymphatic vessels to remove metabolic waste products and excess fluid from the tissues. Pre-natal massage may improve circulation, relax tight muscles and restricted soft tissues, and relieve pain as the expectant mother’s body is coping with the demands of the growing foetus. Ligaments loosen due to hormonal changes, breasts typically increase in size and can be tender, and strain on the back becomes greater as the weight of the baby increases. Techniques and pressure adjustments take these changes into consideration, including positioning the mother to produce a feeling of comfort and relaxation. With an Post-natal massage, it may help to de-stress the body and assist recovery after labour. With coaching it offers you the tools and techniques for better decision making, more effective communication, confidence, motivation, great presentations, decrease fears and anxiety, manage your emotions, dealing with conflict situations and stress with remarkable results. Shiatsu means finger pressure in Japanese. It has evolved over the last century to incorporate and reflect knowledge of Western physiology. Traditionally, practitioners use a mat on the floor, rather than a couch, and it is not necessary for the client to remove clothing, as long as it is loose and comfortable. Techniques include acupressure points, but using finger pressure instead of needles, stretching and manipulation to adjust the body’s physical structure and balance energy flow to promote natural healing. Reflexology is based on the belief that certain areas on the feet correspond to the organs and other parts of the body. Some practitioners may also work on the hands, face or ears. It uses precise movements and the application of pressure using the fingers and thumbs. Reflexology has very few contraindications, and the advantage of requiring no active participation on behalf of the client except to remove all footwear. It is virtually the only touch therapy that can maintain face to face contact throughout. Studies have shown that it may help to improve mood, aid sleep and relieve anxiety. The therapy can be enormously successful in promoting a feeling of wellbeing and relaxation. Reiki is the Japanese for ‘Universal Life Energy’, and was founded in 1922 by the Japanese Buddhist, Mikao Usui. During a treatment, the recipient remains clothed, sitting or lying comfortably. The practitioner gently places their hands, non-intrusively, on or near the body, using their intuition and training as a guide. There is no massage or manipulation. 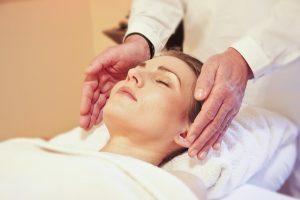 Reiki can be used on the whole body, or on a specific area. It is a tradition open to any belief system and benefits may include deep relaxation and the promotion of a calm peaceful sense of wellbeing. We even provide therapists for Corporate Events, click here for details.